Shannon of “Rhythm & Rhyme” lives in Brisbane, Australia and has is precious Kangaroo tutorial for us. 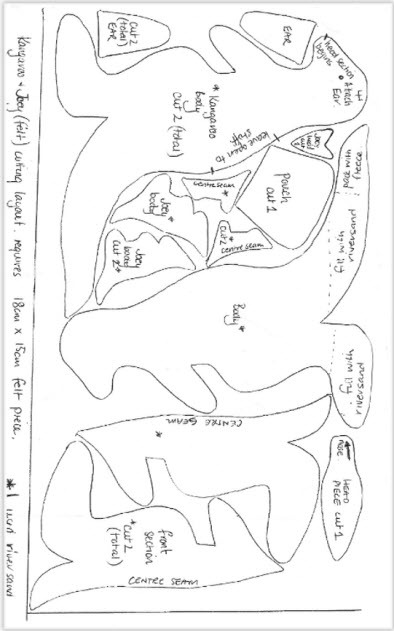 Shannon has a pictorial tutorial and a pattern for the Kangaroo parts. I am including the pattern because I did not want to download the viewer from Scribd, but if you used it before download it there. Thanks Shannon for the wonderful tutorial and pattern. 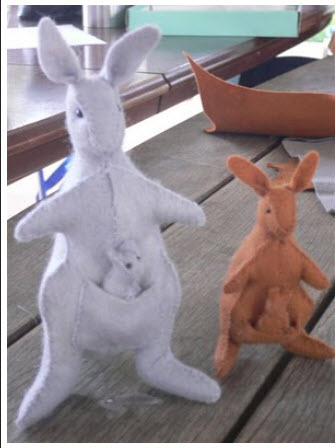 Wow, what a nice kangaroo, love it very much, and thank for share this tutorial n pattern. We are a manufacturer of handmade felt crafts from Nepal. Our products ranges from bags, purse, shoes, accessories, balls, ornaments, rugs. We also can do custom designs. Our products will save your cost. We would like to encourage you to sell our products. LOVE this for my kids!!! I would love to make these for the kids in children’s hospital – need written instructions if possible. going to try and sew one or two a day for a year to hand out at Christmas time; could you post written instructions please & thank you.